Delivery time is 2-3 days only. 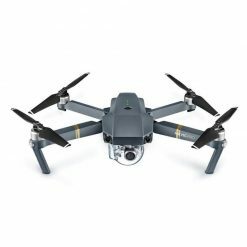 Compact and agile, the DJI Mavic Pro Platinum Drone Fly More Combo with Controller can fly up to 40 mph in no winds. Experience the landscape in all its glory, take your footage of hidden places and show them to your family or friends. Maybe you’re a teacher and want to show your class more of the world. You can do all of this with the Mavic Pro. 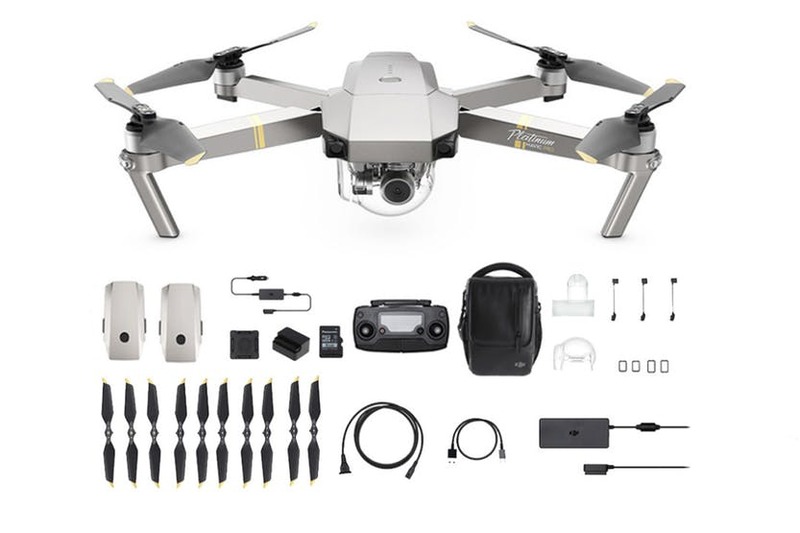 With the Fly More Combo, you’ll get two batteries, a car charger, battery charging hub, spare propellers and a shoulder bag. This means you can take your drone with you anywhere you wish to and get up to an hour of flying time before recharging. If you’re on the move you can always use the car charger to charge one of the batteries while you fly using the other spare. Fly for up to 30 minutes with the improved battery life on the Mavic Pro Platinum. You can reach a maximum distance of up to 9 miles due to its powerful motors. Explore the stunning landscape of a tucked away beach, the hidden treasures of a forest, or capture a truly unique selfie using gesture controls. It’s also compact and can be easily transported with the foldable blades, ideal for those who want a drone which is powerful and simple to use. Clip the controller to your phone and use it as a camera to see all the action. Keep your camera tracked on the subject with ActiveTrack. Simply select your subject, such as a friend skating or cycling and it will automatically track them. You can also use other features like Trace Follow so you can follow the subject from behind or in front. Ideal for skiing holidays when you want to capture you and friends hitting the slopes. Spotlight is another feature where you can keep the camera trained on your subject while you fly almost anywhere. 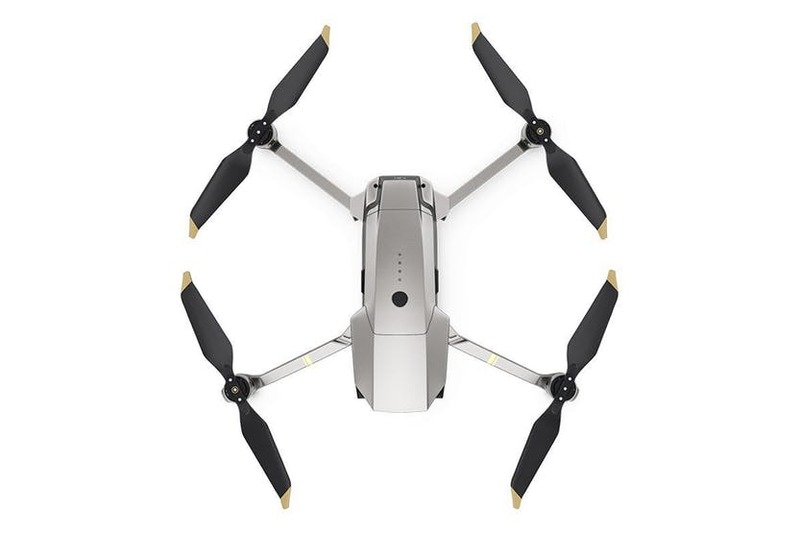 This means you can focus on exploring while the drone does the hard work. 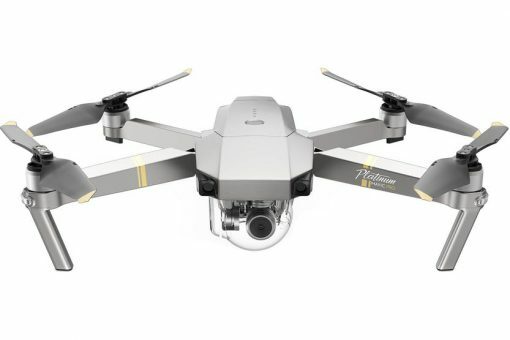 Compared to the DJI Mavic Pro, the Mavic Pro Platinum has a slight decrease in running noise. 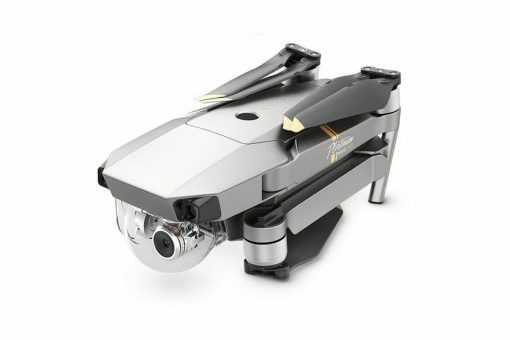 This means your drone will fly a lot quieter than other models, making flying an even more enjoyable experience. Supporting 4K Ultra HD video, you can capture impressively detailed footage to share with friends, family and online. Forget sending a postcard, why not capture yourself visiting the Grand Canyon or Sydney Opera House and share it all in 4K?